A variety of attractions and entertainment. We work with a wide range of sectors offering our customers a wide range of possibilities. Call us and we will advise you in anything you need. 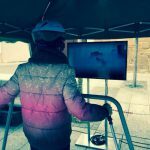 Novelty:Ski and Snowboard simulator. 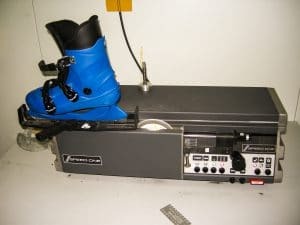 We have TV screens with video simulation ski, knee pads and specialty ski goggles. For any season, ideal for any type of event. 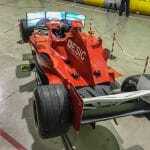 Experience the speed and feel what it is like to be a professional Formula 1 driver. 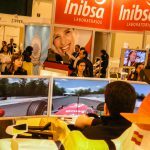 You will have an amazing experience in our new Formula 1 driving simulator. 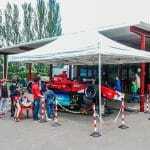 We also offer 4 Formula 1 static cabins, which can be prepared to compete together, in the same race. 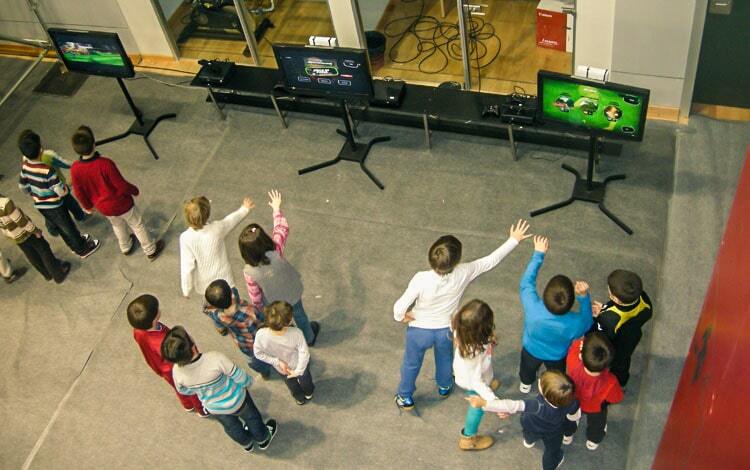 This service includes monitors, audio and video systems, projectors and other activities to complement this attraction. We offer our surfboard so you spend a moment involvidable safely. The structure and behavior of materials make the ingenious design of the table are harmless. 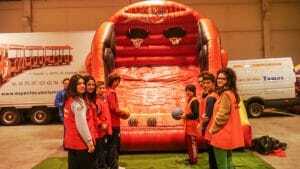 Everything is prepared for participants to go up and enjoy themselves to the fullest. Our mechanical surfboard has all the security measures, air mattress perimeter edge works and has enough power 220w with turns and jumps to produce safe fun. 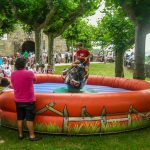 We also rented our mechanical bull, safe to use for any type of event and celebration including s bachelor parties, communions, regional parties and more. It includes transportation, installation and monitor. 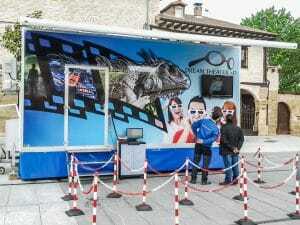 Enjoy a unique experience with Dream Theater 5D, one of the few five-dimensional mobile cinemas around Europe. 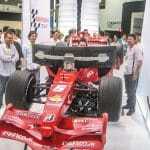 It has the most advanced technology and takes viewers to a new level of experience. 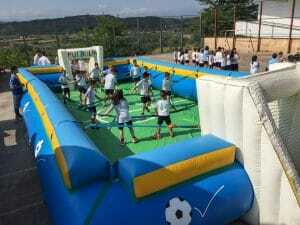 Ideal for any type of events, sponsored parties, conferences, festivals, etc. This attraction is suitable for all audiences. 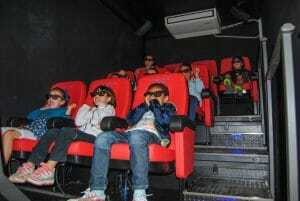 What means 5D Cinema? 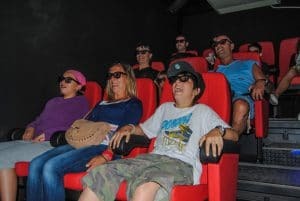 This attraction combines the revival of the 3D glasses with moving seats and a combination of scents, wind, and water vapour that is sprayed around the face. This means that the viewer can experience more than they would during a three-dimensional show, because in a 5D cinema if it rains on the screen, you get wet, if the wind blows, you feel it on your face, and if someone holds a bunch of flowers you can smell the perfume. Feel free to try! Description: The mobile cinema has a capacity for 10 people and is installed in a new trailer with air conditioning and heating. Ideal for any time of year, the 5D cinema has a giant screen for people who are out to visualize what is happening inside. Movies: We have more than 10 films for all tastes and ages. 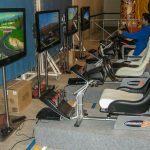 Simulation for any type of event: We have a variety of simulators including but not limited skydiving simulator, road bike and water, 3D flight, Extreme Rolling track Sky and snowboard simulator Hang gliding, mountain-bike, skate, virtual golf, hiking, surfing, windsurfing and military aircraft simulator. Because Espectáculos Tomás S.L., puts you all kinds of simulators at your fingertips. 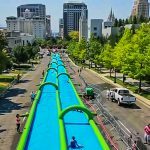 Have you ever slipped by a giant water slide through the streets of your city? This summer you could do in your own locality. 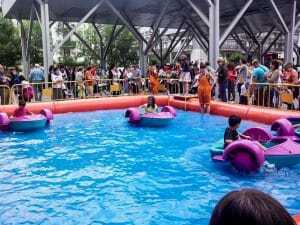 “WATER SLIDE CITY“ is the star attraction this summer, asking suit your needs and measures, can be mounted from 50 to 100 meters (Size: 50, 75 and 100 mt). Book your date now, and celebrates “Water Day” in your town before they get passed !!! 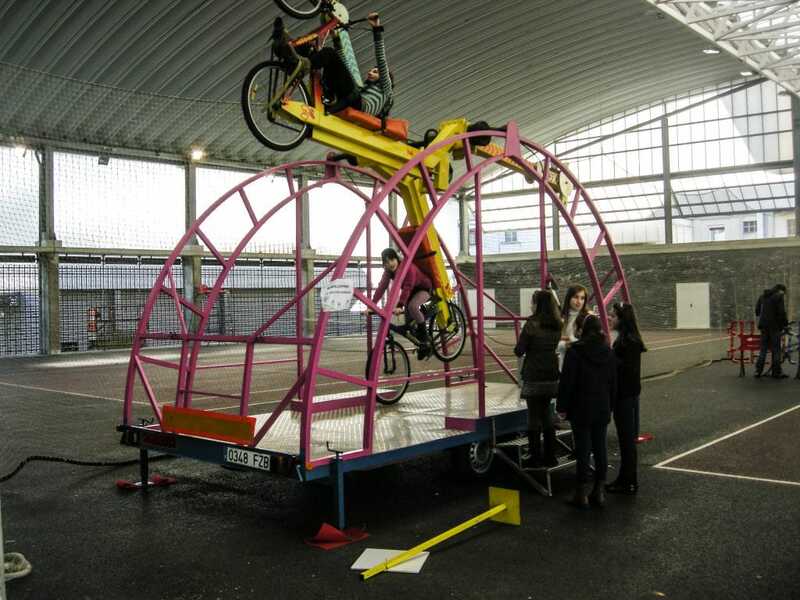 Looping-Bike is one of the most exciting attractions Entertainment Thomas S.L., Looping-Bike has two bikes installed on a platform that spin 360 degrees. It has a specialized monitor and approved security settings. 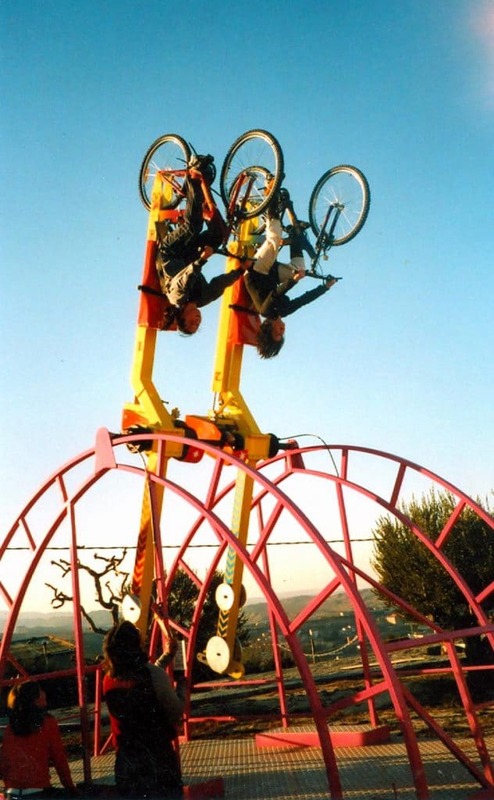 Ideal for lovers of strong emotions, people that are mounted on this attraction pedal to give a spectacular ride in the air. 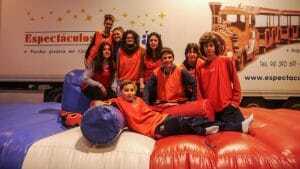 In television programs known as “El Hormiguero” he has left this attraction. Do not hesitate to try it! 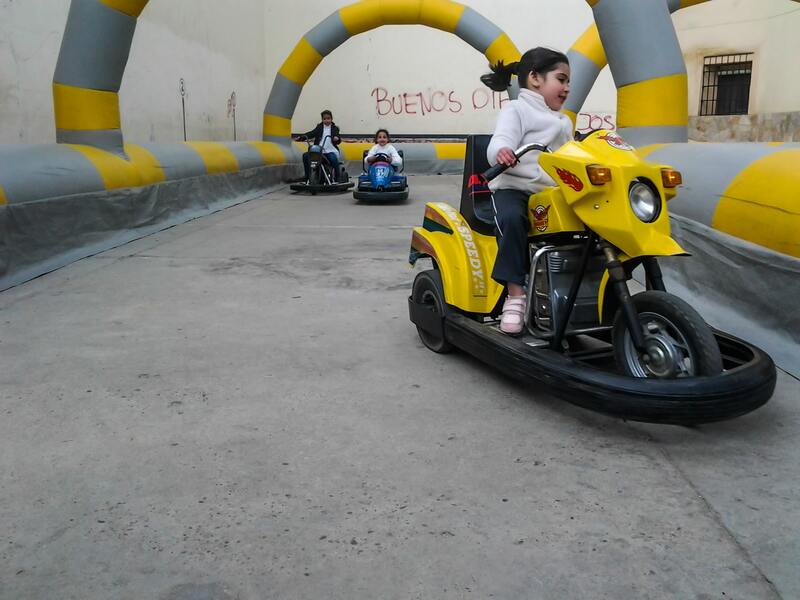 Espectáculos Tomás S.L puts these antigravity bikes at your disposal so you can enjoy the ultimate in speed and excitement. Amazing! 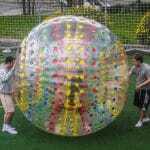 Inflatable ball with a person inside falls flat !!! 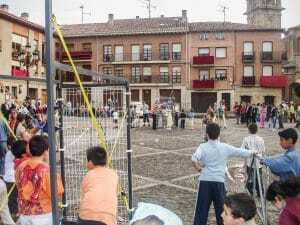 This is one of the novelties Espectáculos Tomás S.L. offers, Avalanche is an attraction that brings people to a world of unique sensations. 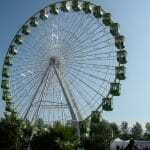 It consists of a giant ball swollen air in which a person is introduced to enjoy the feeling of lowering a high rate of descent.You gush over this attraction. 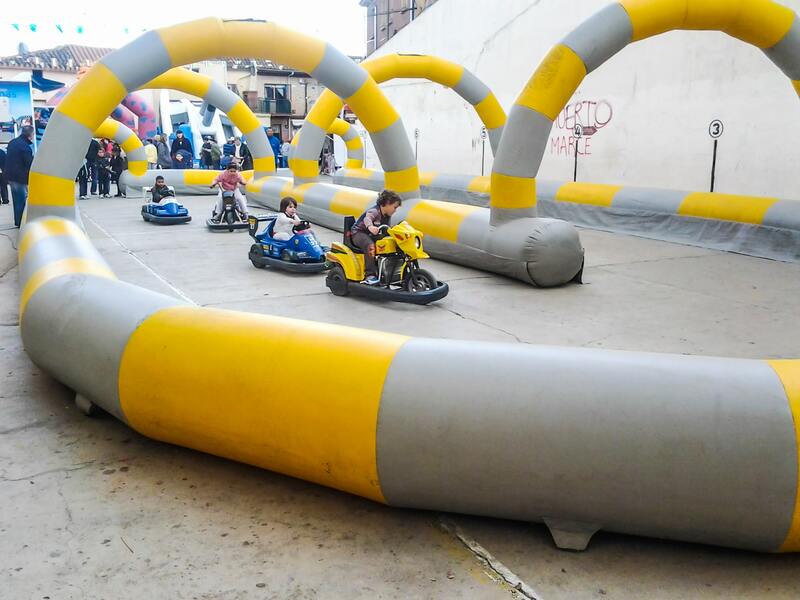 This attraction ensures fun for both children and adults and is used for a variety of events including conferences, exhibitions, advertising campaigns, tourist areas, etc. 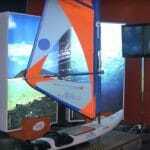 With possibilities of advertising it is one of the attractions most requested by our customers. It Comprising 4 beds installed on a platform that facilitates their mobility. With seating for four people who will secured with harnesses (10x10m). 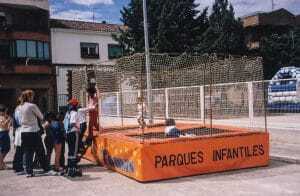 It allows people to rise up to 8 meters high. 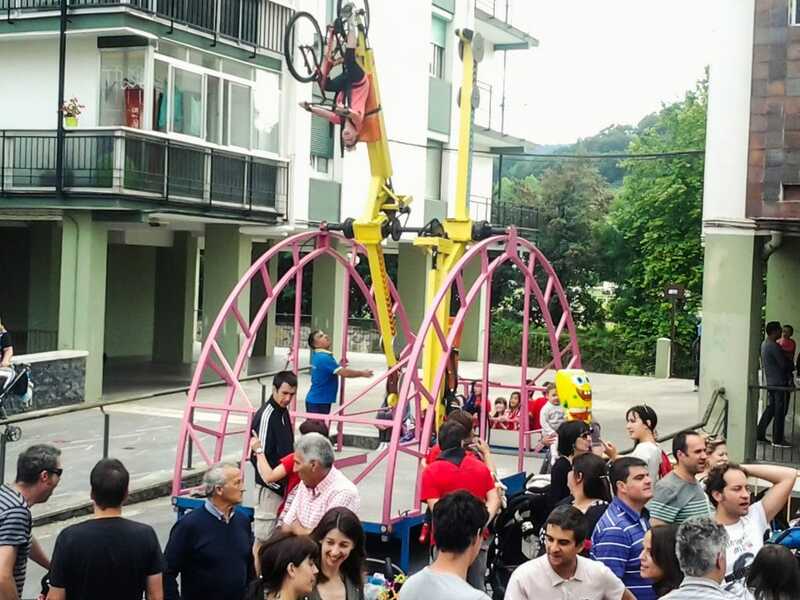 The series of “Los Serrano” Antena 3 Jumping hire us for one of the chapters.Do not hesitate to try JUMPING! An attraction that you’ll ENGAGE! 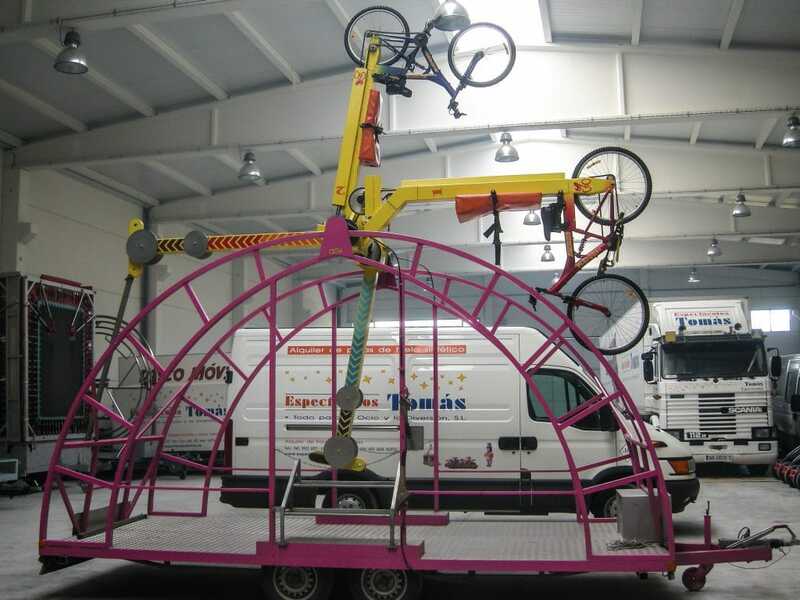 Espectáculos Tomás S.L brings you a hilarious attraction, gyroscope, consisting of a trailer with three rotating rings each other rotating in every possible angle. 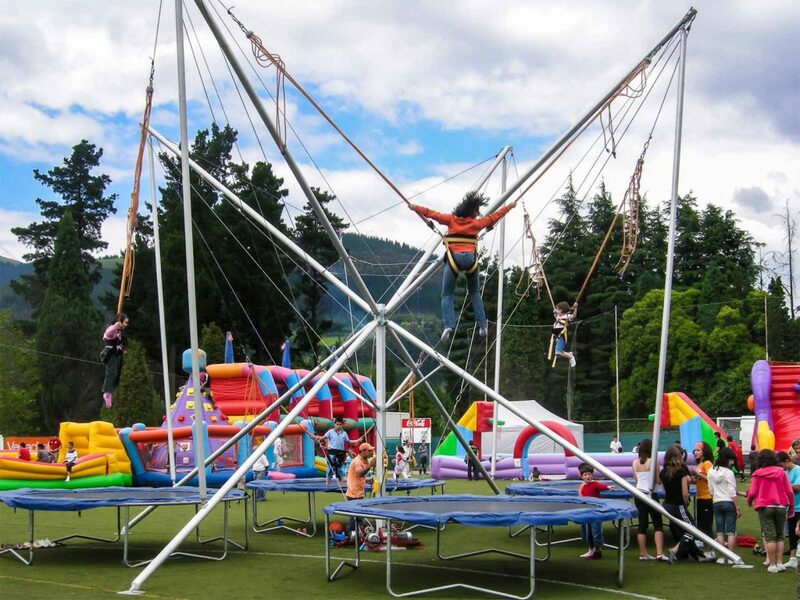 This attraction is used for cardiovascular and balance training pilots and astronauts. 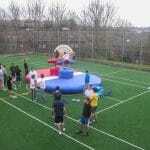 Ideal for any type of event; congresses, exhibitions, festivals, celebrations, bachelor parties, etc. It has all the REQUIRED safe and easy to transport. 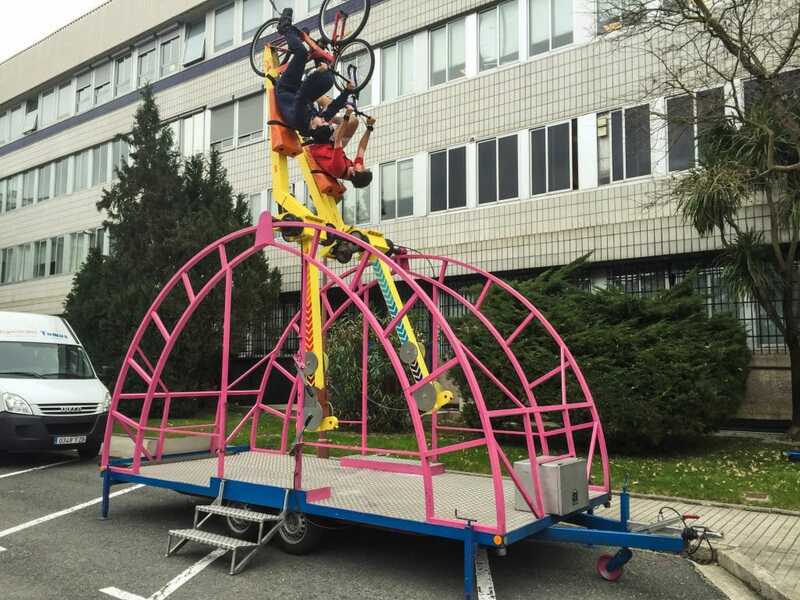 What do you expect to test our GYROSCOPE? 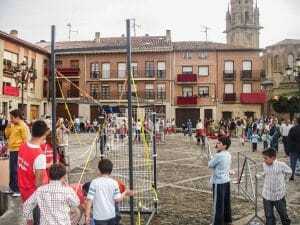 In Espectáculos Tomás S.L We are passionate about sports. 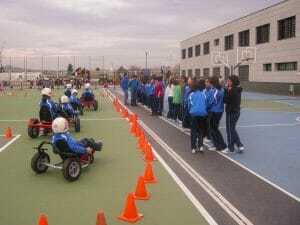 We offer the possibility of us this activity without absolutely any risk. 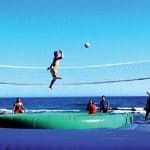 Our climbing wall with zip line consists of a climbing wall 7 meters and a decline in flying fox. 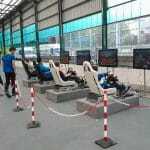 We have specialized monitors attraction. Ideal for initiation to climbing, amusement parks, regional parties and individuals, etc. 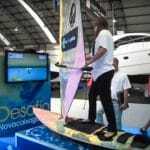 You need to have 3x3m base for anchoring to the floor or attach to secure items. 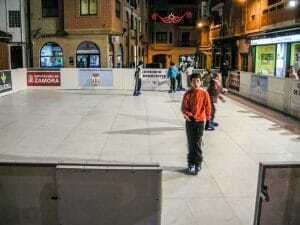 Our ecological ice tracks meet the latest environmental regulations and have high technology that simulates the properties of real ice without the need for cooling machines, power consumption, generators, ice maintenance. It is an ecological and zero energy product. 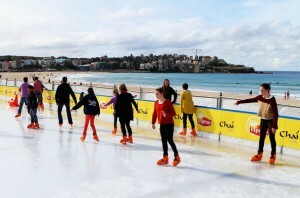 Available all year with our ski synthetic ice you can skate even on the beach. 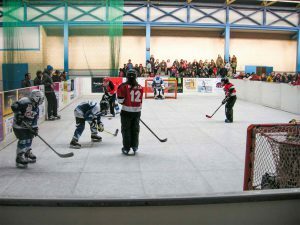 Our synthetic ice tracks are installed quickly and are designed for different activities including figure skating, courses to learn to skate, ice hockey games and more. 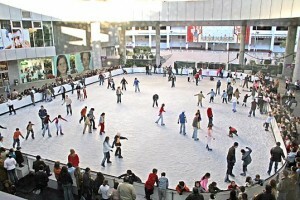 Ice skating is a sport very funny and very simple activity even for those who never have shoes skates. 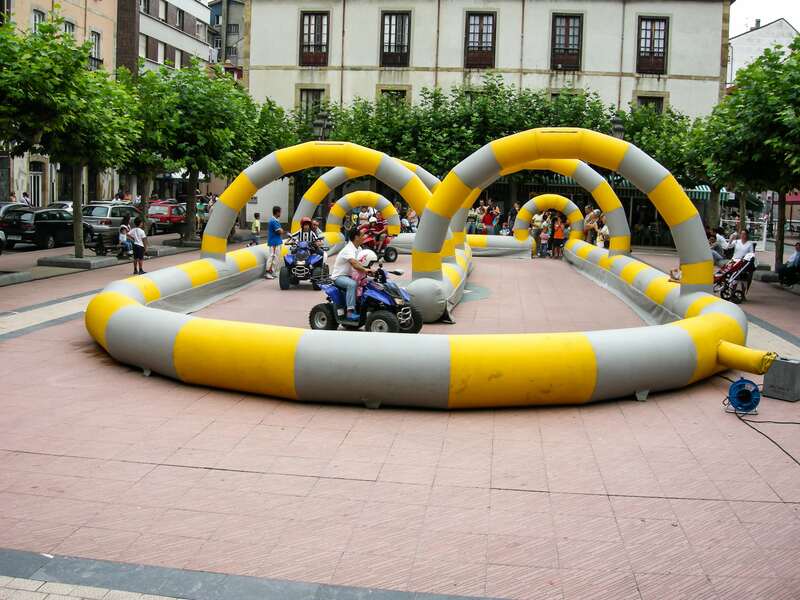 Custom designs for any location; hotels, amusement parks, shopping malls, fairs, exhibitions, etc. 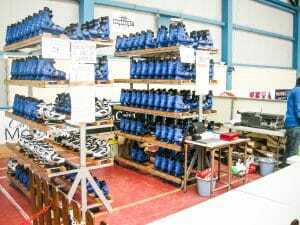 We hurdles track, non-slip floor, enclosure fences, benches, pairs of skates, ticket office / reception (optional), furniture stores skates / shoes, machine maintenance skates and sweeper. 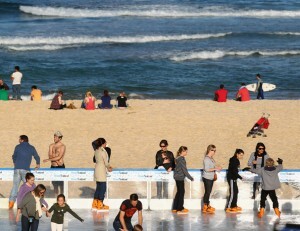 SPECIAL WEEKEND OFFER: We have special weekend offers to rent our ecological ice tracks. Ideal for municipalities and individuals who want to offer a unique and unforgettable event at an economical price. It will recover part of their investment with advertising and ticket office. Contact us and you will be surprised with this affordable offer for everyone. 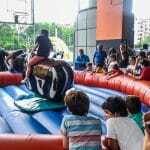 We also offer our bulls synchronized so you can organize competiticiones with your family and friends! What do you expect to test our BULLS SYNCHRONIZED? 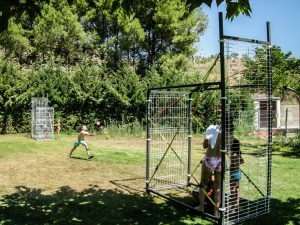 Espectáculos Tomás S.L It offers you a fun new activity to enjoy to the fullest. With tumbleweeds BALLS AND BUMPERS you can give full turns or stand up in any terrain. 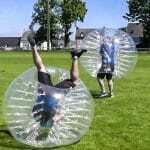 They are transparent, air-filled balls as an air bag. Suitable for any type of event. 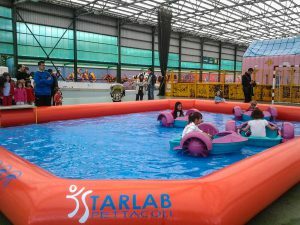 With our water balls, you will walk on water in a swimming pool without any risk. What are you waiting to try? 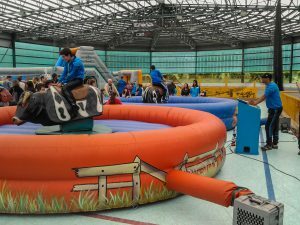 This attraction is ideal for recreational activities, event agencies and Entertainment, sports, regionals parties and individuals. 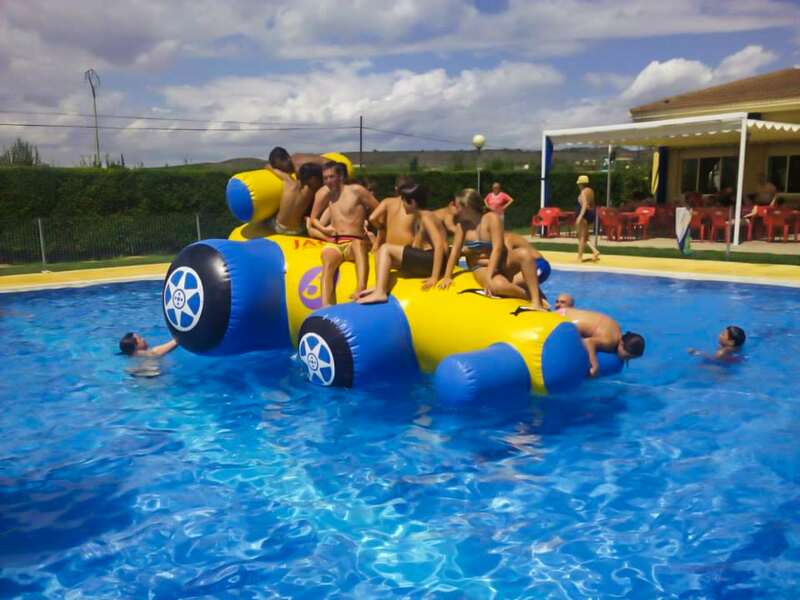 In Espectáculos Tómas, S.L we have the best inflatables of different sizes and models to adapt to all spaces and celebrations. 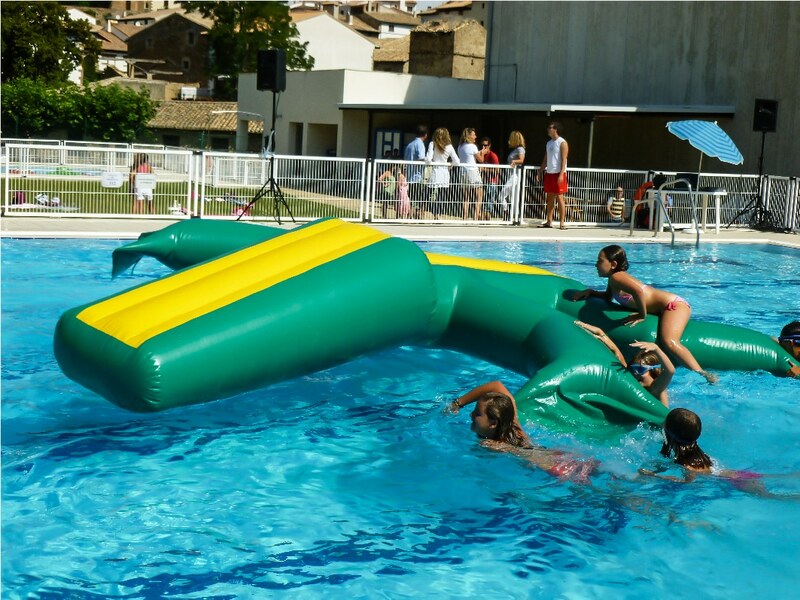 All our inflatables have passed the quality standards of the European Union remain safe and durable for professional and intensive use. 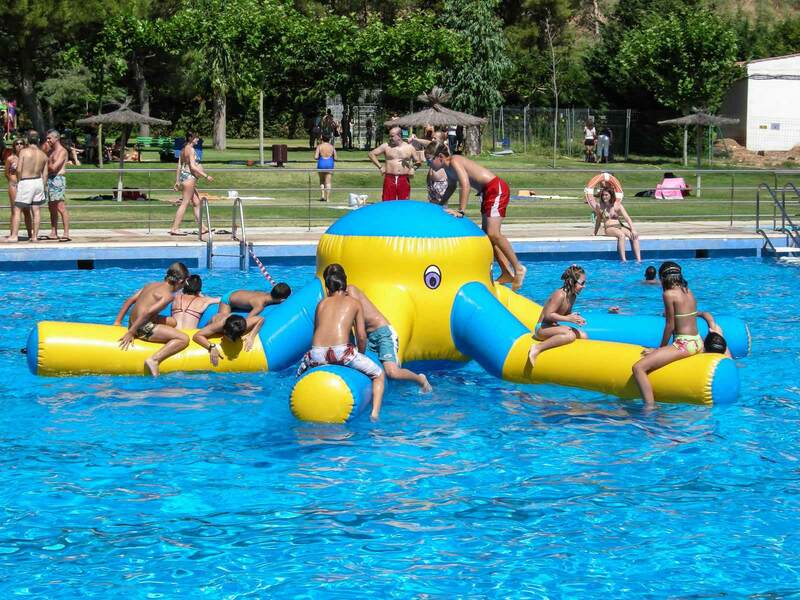 In Espectáculos Tómas, S.L have the best inflatables of different sizes and models to adapt to all spaces and celebrations. 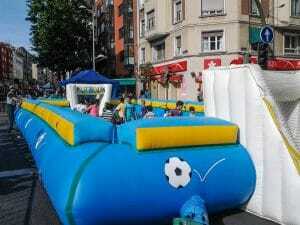 We have the latest in water inflatables. 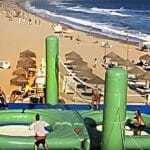 Do not forget to try our amazing water slide and water chute. Perfect for family fun and friends! What are you waiting to test? The YINCANA It is a guaranteed success! 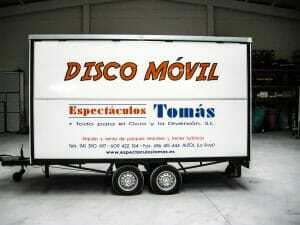 In Espectáculos Tomás S.L, we want to make the best parties to ensure maximum fun. 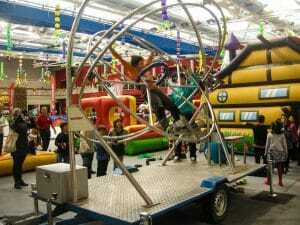 We introduce the Yincana as an attraction that combines fun, wit and exercise where they can engage people of all ages. A YINCANA It is a set of tests of skill and ingenuity that is done by teams along a route, usually outdoor and recreational purposes. 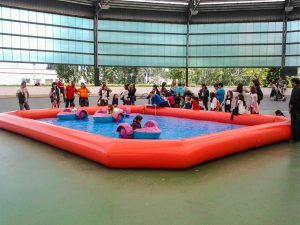 Organize a Yincana is an excellent idea to entertain both children and elderly on public events and exercise at the same time. Ideal for celebrations with friends and family, corporate events, bachelor parties, communions and festivities. 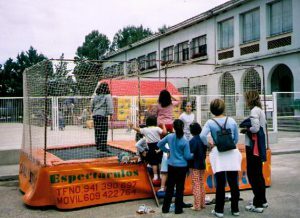 It includes a range of entertainment where groups compete. 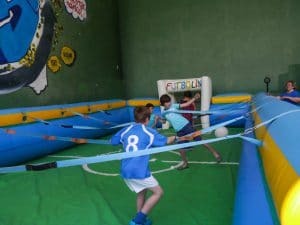 Some of the attractions are: human football, shuttle water balloons, cannons, gladiators, inflatable water ball, pendulum, etc. 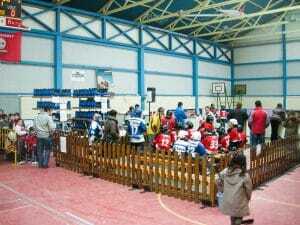 The groups take different shirts and compete for approximately 2 hours. 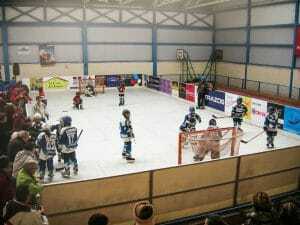 The monitors will monitor the scores and will award the winning team. We encourage participants to wear comfortable clothes. 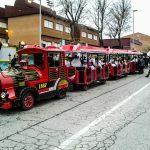 In Espectáculos Tomás S.L rent engine-related attractions for all ages. 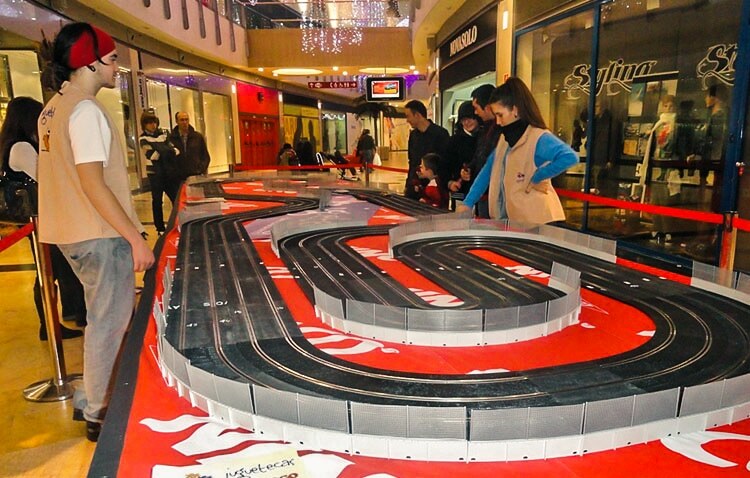 Scalextric offer circuits and remote control cars (radio) with off-road obstacles. 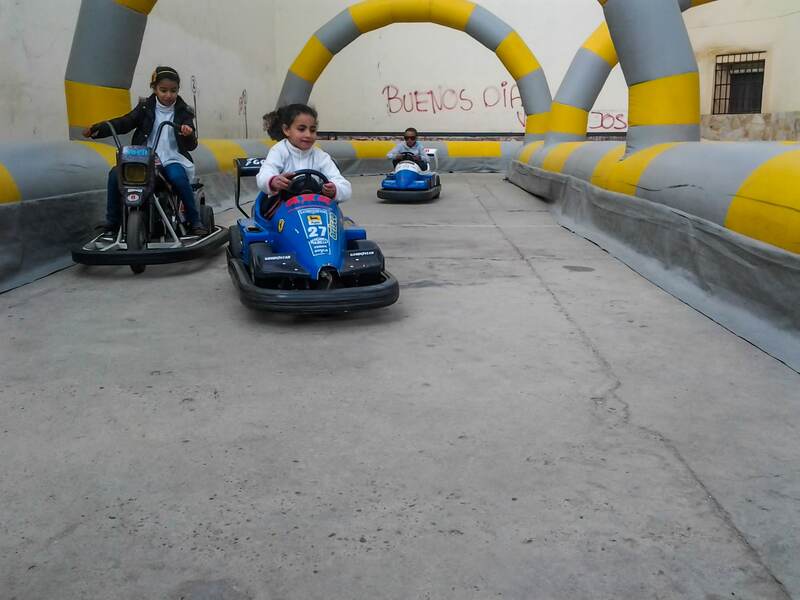 In Espectáculos Tomás S.L we have a variety of arcade games and Wii video games for rent. We also offer the possibility of a Karaoke to enjoy an unforgettable moment. Ideal for festivities and, birthdays, bachelor / as, corporate parties, etc. 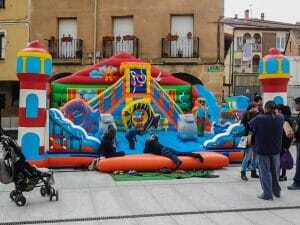 In Espectáculos Tomás S.L, we offer the possibility to fully enjoy our foam parties, confetti and bubbles. Suitable for all audiences, it may be accompanied by music or children’s entertainment, dancing and singing to spend a fun and refreshing evening. Ideal for festivals, clubs and festivals. Our sparkling are completely safe and meet all the parameters required by current regulations. 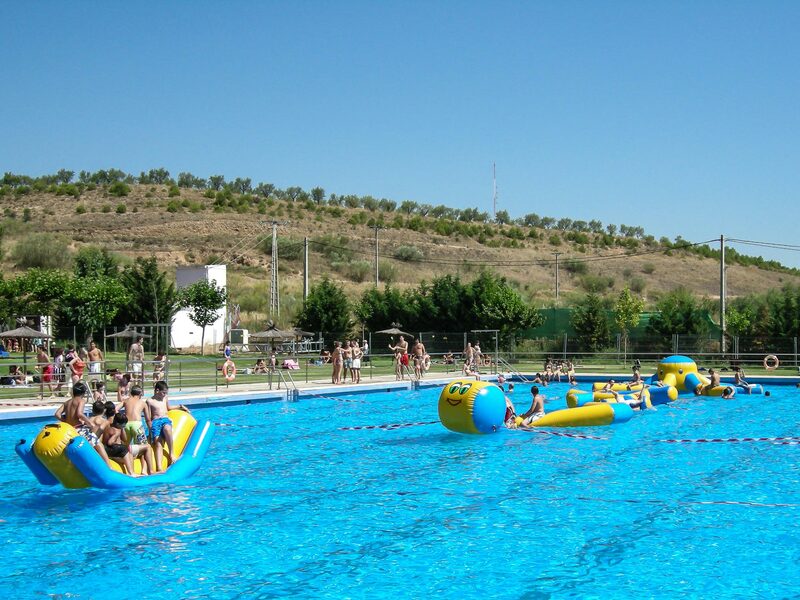 Espectáculos Tomás S.L puts water balloons shuttle at your disposal so that children and adults can enjoy a fun time. 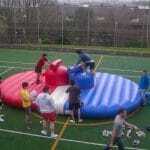 Ideal for participation in a war of water balloons with friends, colleagues or strangers. 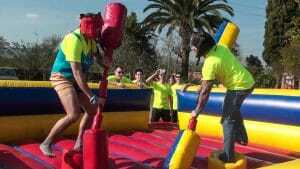 An ideal choice for bachelor parties, communions, birthdays and festivals activity. 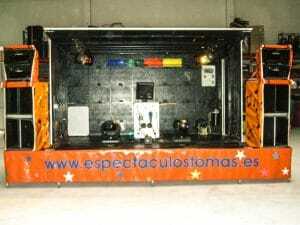 Espectáculos Tomás S.L It offers a variety of motor circuits, pedals and drums for all tastes and ages. 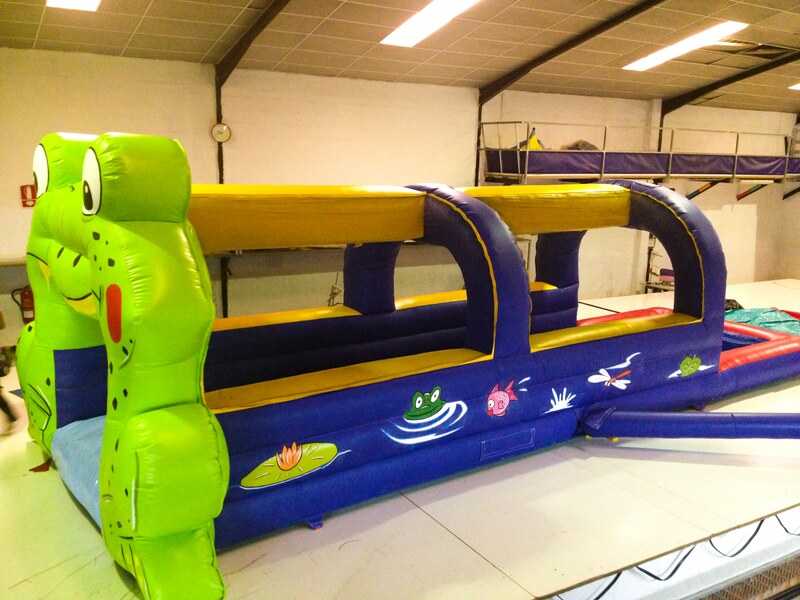 The circuits are ideal for celebrations, birthday parties, schools and more. 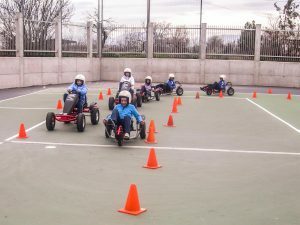 We offer rent our Quads with chorizos prepared circuits or protection for children and adults can enjoy safe formally. Cars and Motorcycles Battery: For smaller, Shows Thomas S.L. 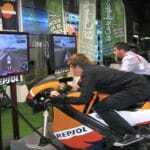 has car and motorcycle battery so they can fully enjoy safely. 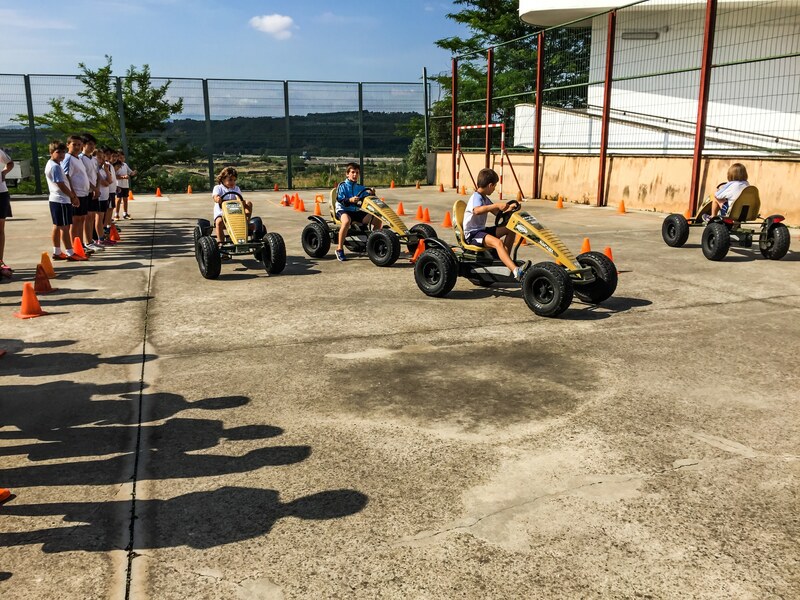 Devices Pedals: We rent various devices including balam pedal bikes, karts, choppers, tandems and prepared Trikkes with protection circuits or chorizos. 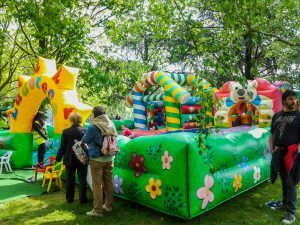 Inflatable Toy Library: Super Toy Library, Camelot Toy Library, Farm Toy Library, Marinera Toy Library, Lunnis Toy Library, Baby Toy Library. In Espectáculos Tomás S.L we offer a variety of children’s animation workshops to ensure an unforgettable day for the little ones. 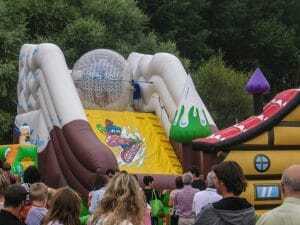 Among the services we provide for children’s parties are face painting workshops, balloon twisting, pins / badges, tattoos and entertainment with clowns. Face Painting Workshop: frOM Espectáculos Tomás S.L. we offer a simple and cheap service for festivities or private celebrations such as birthdays, communions, baptisms, etc. We have specialized monitors. 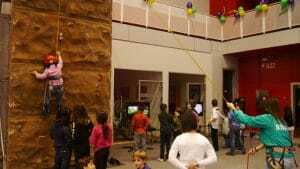 Balloon twisting workshop / Pins or Chapas: We offer balloon twisting workshops and plates / pins where children can enjoy crafts, developing their creativity and participation. We have specialized monitors. Tattoos Workshop (New): Our instructors make fun glitter tattoos to children. A very entertaining workshop for the kids. Tattoos are easy to remove later. Clowns animation: Hiring clowns for all kinds of children’s parties. We have specialized clowns. 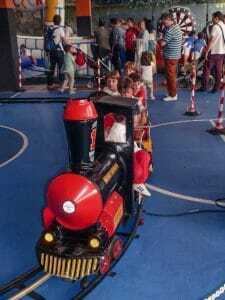 Rental infant trains (electric) for all kinds of events including birthdays, communions, etc. 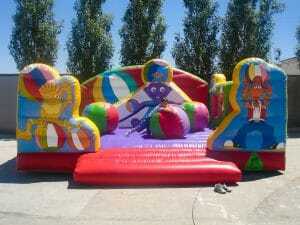 Ideal for shopping malls, schools and regional festivities or private parties. 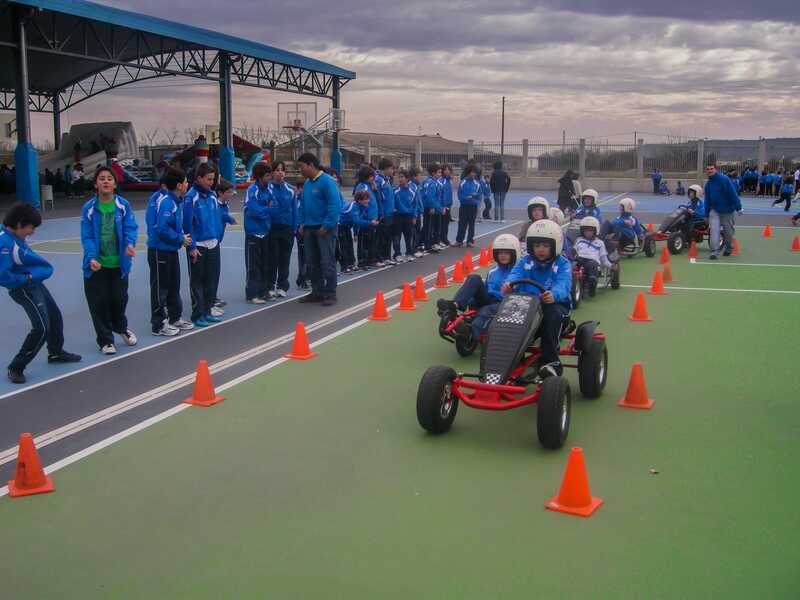 Espectáculos Tomás S.L offers a variety of motor circuits, pedals and drums for all tastes and ages. 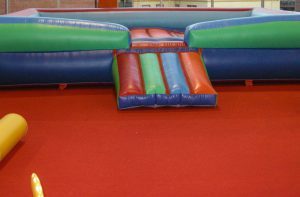 The circuits are ideal for celebrations, birthday parties, schools and more. 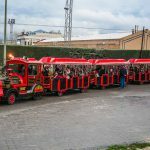 Enjoy our tourist trains so that children and adults have a lasting memory accompanying them in their journey with all kinds of comforts and amenities. Our trains can accommodate 40 and 60 people and are prepared to offer users greater comfort protecting them from the elements of weather. 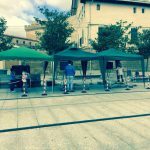 They are ideal for advertising and political campaigns, regional festivals and tourist resorts for summer season. 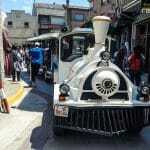 All our trains meet the appropriate standards in safety with their insurance fees and R.C. mandatory and passengers. Personnel employed in this activity is perfectly uniform and in possession of the appropriate licenses and permits. 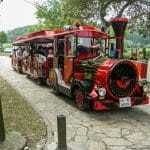 Espectáculos Tomás S.L It offers the ultimate in fun:TOURIST TRAINS WITH CLOWN ANIMATOR. 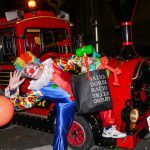 Our clown will hide the streets of the town to surprise people that are mounted on the train with water guns, brooms and give away balloons with various figures (sword, flower, dog, etc.) to people who are mounted on the train. Our clowns are experts and changed outfits and place to mislead people. We guarantee success with this attraction. Ideal for employers and private parties. We can get any attraction. 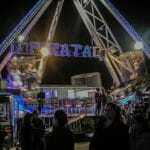 Please call us, we’ll help you locate what you need, we have most funfair. 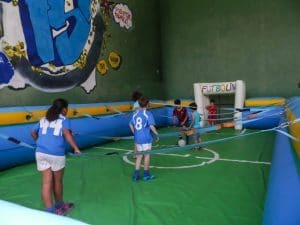 Basket Jump, Bossball and Airfootball: For sports lovers, we offer attractions basketball and football in the air to perform movements and thousands of plays. 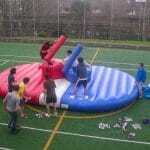 We also hired bossaball which consists of an inflatable structure with trampolines for volleyball. Ideal for beaches, shopping, parties and many more celebrations. 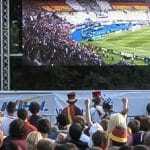 Outdoor screens: We have giant screens and outdoor cinemas and interior for any type of event. 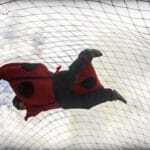 Shuttle: A device that allows you to safely thrown out more than 15 meters high to tumble and drop all the adrenaline. 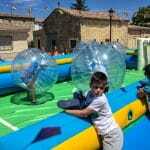 SpiderZone: Renting a human spider web with water slides. 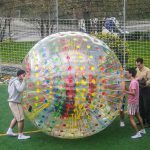 Paintaball: We offer a unique activity for a group of people. 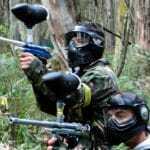 Paintball does not cause bruising, pain, or wounds caused by blows to the contestants. Ideal for bachelor parties and company celebrations. 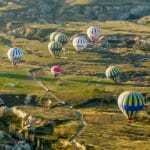 Manned Balloons: Car rides balloons for companies and individuals. With possibility of advertising. 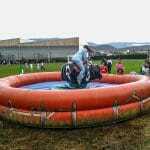 We are specialist in events, we rent all sorts of attractions for fun. A wedding is one of the most important events in our lives. 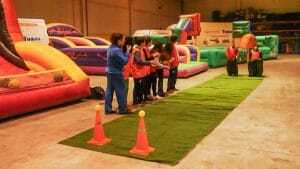 If you want to have an unforgettable day, rent some of our services and prepare your best party. 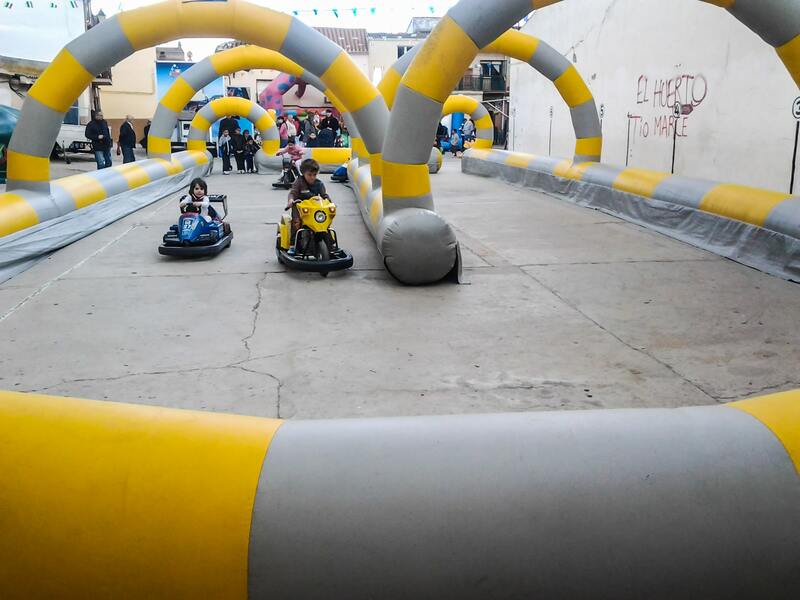 Put your slogan, brand or logo on our attractions. Also it is great to film a scene from a movie , a TV commercial or a television show. Are you on a political campaign and want to make an impact? 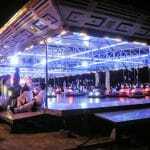 Convey your ideas in the most effective manner placing your adverts on our attractions. 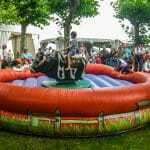 If you want to surprise someone on their birthday you can rent some of our attractions (inflatables, mechanical bull, quads circuit, animation workshops, mobile disco Karaoke, etc). 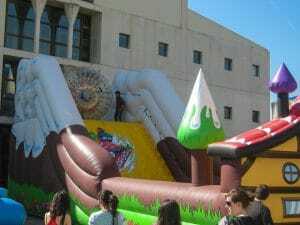 You could rent some of our attractions and activities for all types of conferences, conventions and trade shows. 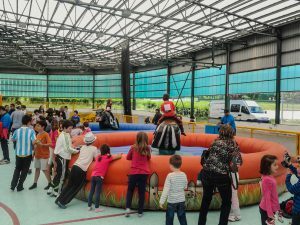 Associations and clubs can develop a variety of activities but there is always time for fun with attractions and events. If you are thinking to prepare a hen party for someone special, contact us and we will advise you to have an unforgettable experience. 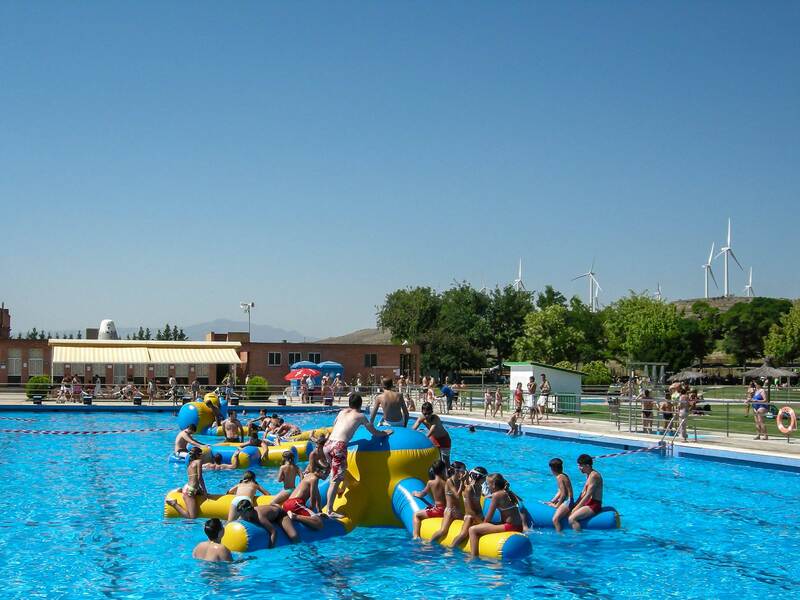 We organise activities for companies, so that neither you nor your employees will forget that day. 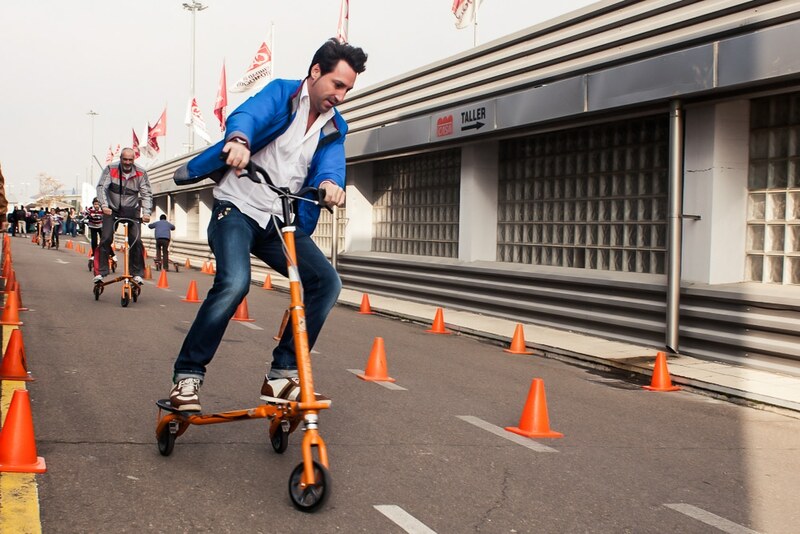 Work and fun are the best combination for business performance. 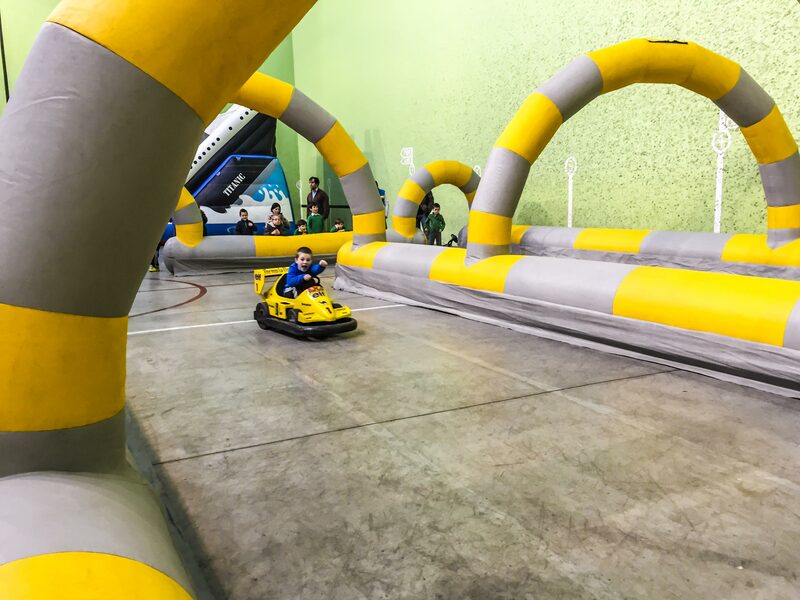 We have a wide variety of sport attractions (Formula 1 simulator, sport inflatables, climbing wall, etc). 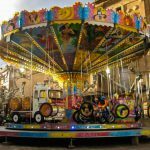 Rent unique and innovative attractions for all kinds of festivals and tours. 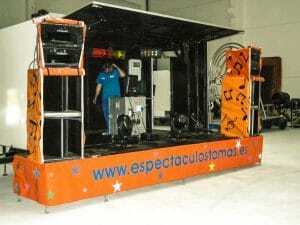 Among others, we have worked in the international Music Festival, Rock in Rio in Lisbon, 2010. 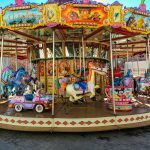 We have a wide range of attractions and entertainment for both children and adults to enjoy the holidays in your area. We work with all industries and individuals. Do not hesitate to contact us! – A permissible public highway, park, sports centre, asphalted area. – Electric hook-up for 220V or 380V attractions. 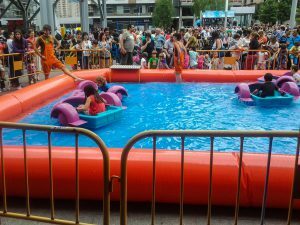 – Foam party requires a nearby mains water supply. We are also open to other suggestions and schedules. – Minimum chargeable hire period of four hours. 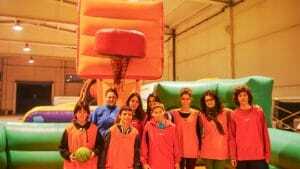 – Team of specialized instructors. – Setting up and organizing the show. 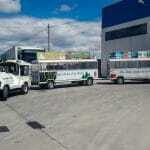 – Specialized supervisors (Driver and general supervisor). – The duration as agreed. – Hire price includes insurance costs, engineer review certificates and everything necessary for its proper functioning. 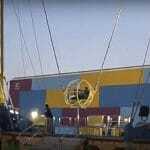 – Assembly, disassembly, transportation provided. 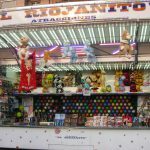 – We carry our funfair throughout the national territory. 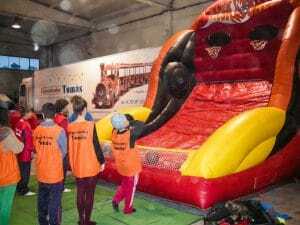 – Organizing children’s parties in Madrid and Barcelona , don’t forget our children’s holiday, 5d cinema, inflatable castles and more, our recent shows in Madrid have been a success!